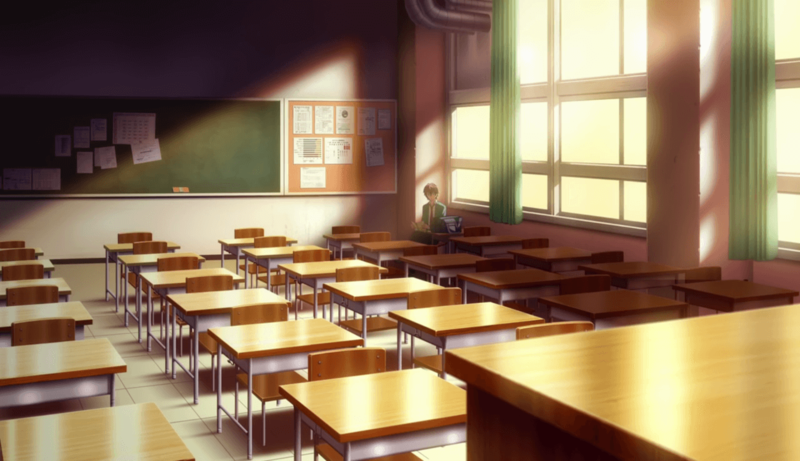 The school campus is one of the most popular settings in manga and anime, appearing across a wide range of genres with varying degrees of realism. But what are the real world bases of these institutions like? Let’s take a look at some of the iconic features of Japanese schools. 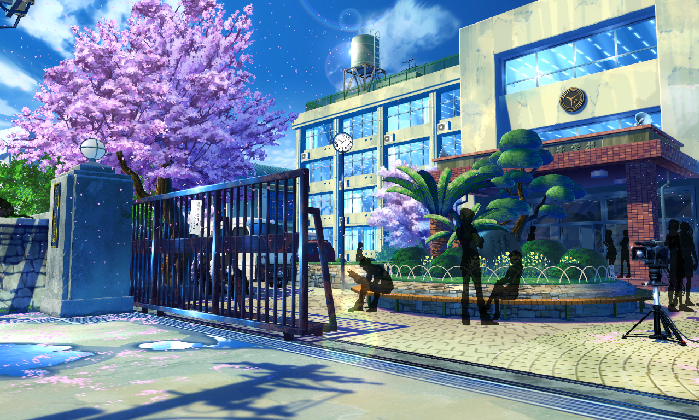 The school campus is one of the most popular settings in manga and anime, appearing across a wide range of genres with varying degrees of realism. But what are the real world bases for these institutions like? Let’s take a look at some of the iconic features of Japanese schools. Beyond the grated iron gates, a solid, sturdy campus building looms over the school grounds, with an open space flanked by cherry blossoms... Well, the cherry blossoms are optional, but this standard introductory shot of the school’s façade should be familiar to everyone who’d run into plenty of school life titles. 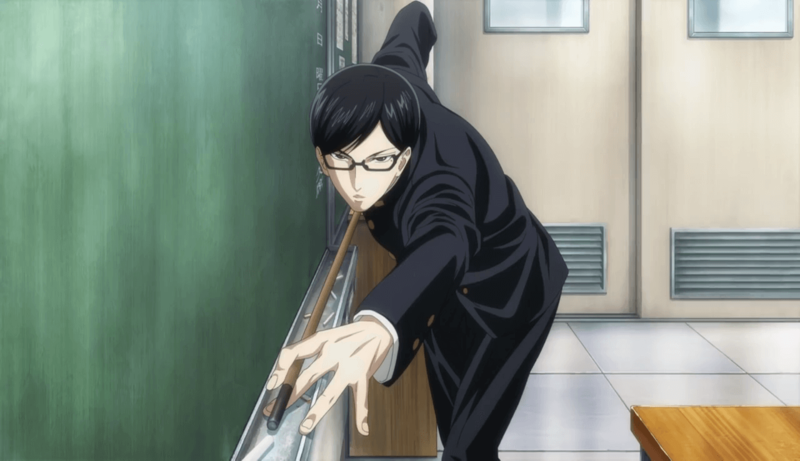 From the generally realistic schools seen in anime like Sakamoto desu ga? to the highly exaggerated schools of fantastical titles like Kill la Kill, school buildings have shown that while their designs can change greatly, some aspects of their architecture remain consistent across the board. Is there some sort of cheat sheet or template for designing fictional schools that everyone uses? Or is there a sort of standardized look that most of the schools in reality also adhere to? It must be said that, quite obviously, fiction is often just based on fact, and the reality is that Japanese schools are on the whole quite homogeneous. To pick an example, let us talk about their classrooms. The layout of these rooms are more or less identical, meaning that, barring a few exceptions, you can find the same items in any classroom you visit. Everyone would know to expect the dark green chalkboard, the teacher’s podium in front of it, the wood-and-steel-pipe tables and chairs arranged in neat rows, and then notice boards at the back of the class. On one side there will be rows of sliding-type windows, and on the other side there will be two sliding doors - one at the front, and one more at the back of the room connected to the same stretch of corridor. One may say that these features are indispensable in bringing out that ‘Japanese classroom’ look. Another stereotypical feature would probably be the classroom label that sticks out above the door. Classes in the schools are usually sorted by alphabet , following the format of “(school year)+(section)”. 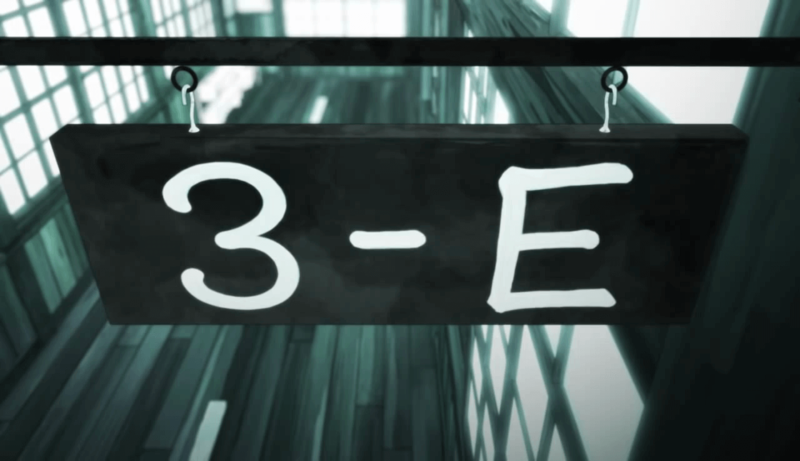 If you see a shot of one such board saying “1-A”, "3-B", or “2-1″, you can be reasonably sure you’re looking at a Japanese classroom. This one is probably the more ‘Japanese’ school uniform type - the girls’ sailor-fuku and the boys’ gakuran. These two designs originated roughly a century ago, around the time when western clothing was becoming more common in Japan. The sailor-fuku, as you may have gathered from its name, was based on actual sailor’s uniforms. A prevailing theory suggests that it might have been adapted from the design used by the English Navy in the Meiji period (late 1800s). The boys’ gakuran also surfaced at around the same time, drawing inspiration from the western military fashion of the time, especially that of the Dutch. The original clothes were referred to as oranda (‘Holland’) wear by the Japanese, and this later contributed to how it came to be named -gakkou (‘school’) combined with oranda (‘Holland’) became “gaku-ran”. These uniforms resemble standard formal wear. While they don't have a particularly unique vibe, they do still have a classic, slick look. The coat is usually just one plain color, and the trousers/skirt may match the top or be checkered instead. The full set will usually include a tie. Various theories exist regarding the origins of this type, but it’s certainly more recent than the other category. Consequently, they give off a more modern feel, compared to the sailor-fuku or gakuran’s traditional aesthetic. As Japan is a temperate country cycling through four seasons in a year, uniforms will always have summer and winter variants, usually sporting longer sleeves or an extra layer of clothes. There are also special uniforms for sports activities; children in primary school tend to wear short pants or bloomers, but these are replaced with jerseys in high school. Aside from the aforementioned two, there are also other types of uniforms which all have their own appeal, even if they’re not as popular as the others. Many people will probably have a bias towards one over the other... Which one is your type? Held after school hours, bukatsu or extracurricular 'clubs' in Japanese schools provide an important, exciting dimension to school life. For example, viewers who have seen K-On! would probably have a decent idea about what goes on at a light music club (probably not that exciting in real life though). With so many popular sports bukatsu anime/manga consistently being made (Kuroko no Basuke, Free!, Haikyuu, to name some recent titles), it's easy to see what it's all about. But then, one may wonder, just how many clubs are there in a typical Japanese school? What do they all cover? Much like how their schools tend to be divided by streams (science and humanities), extracurriculars are also categorized into two major groups: the sports clubs and the culture clubs. 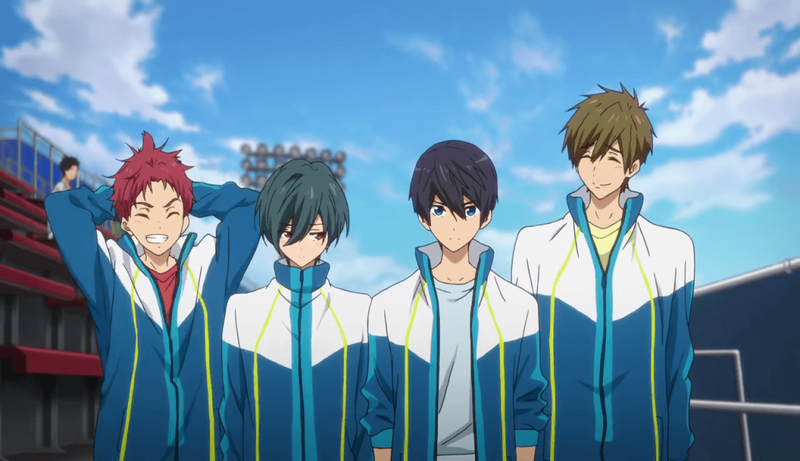 The sports clubs, as mentioned above, do get a fair amount of exposure in anime, and aside from the occasional borderline supernatural moves and skills some of the characters possess, tend to be quite grounded. The culture clubs cover fields like photography, painting, and music. Music is often the only field that gets any huge coverage, but occasionally you get the rare culture club story, such as the Karuta-themed Chihayafuru. Speaking of the high school ecosystem, the “student council” is likely a group most people are already familiar with. Usually presented as the ruling class of the students, they hold a fair amount of power within the school system. They are essential to the makeup of the student body, and most school-based titles will readily feature the council members as secondary characters, and sometimes you may even find them being the stars of their own council-centric show. So what does this highest authority among the students actually do? While technically an extracurricular, the student council is different from the regular clubs in that it’s centered around administrative work. Whether it be organizing the school events or keeping track of the other clubs’ budget and activities, the council’s job is to ensure that the students’ school life is running smoothly in an orderly manner. While in reality it sounds more like a regular desk job than the all-powerful clique it’s often portrayed as, one can see what the superior image the student council often has is based on. The Culture Festival is often the subject of a special filler episode feature, and perhaps for good reason. While studies are the norm for the average school day, the Culture Festival is a time to let loose and show off the results of extracurricular practice for the more performance-heavy clubs. It can be said that it’s one of the biggest events of the school year. 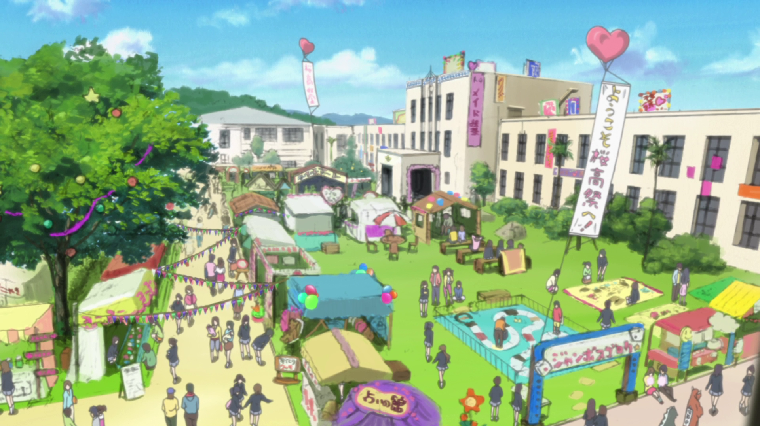 Usually held in autumn, the Festival includes a variety of activities - students may cook and sell food items, perform plays, stage a performance with a band, and many others. The preparation itself takes quite some time - between dressing up the school, making props, posters, and the like, the school might convert up to one week of classes into Culture Festival preparation time. During the Festival itself, though, the school becomes open to the general public, allowing people who are interested in the school to come check it out. So, in a way it also serves as a type of open campus. The schools and school-based activities we see in anime and manga may be exaggerated for entertainment purposes, but the actual inspiration for these shows can be quite colorful as well. Finding out where fiction differs from fact can be interesting and worthwhile, and hopefully increases the appreciation the viewer has for their favorite anime. JMAG is the education and media organization based in Tokyo to present creatively the otaku side of Japan. We report, review and create content to spread daily. 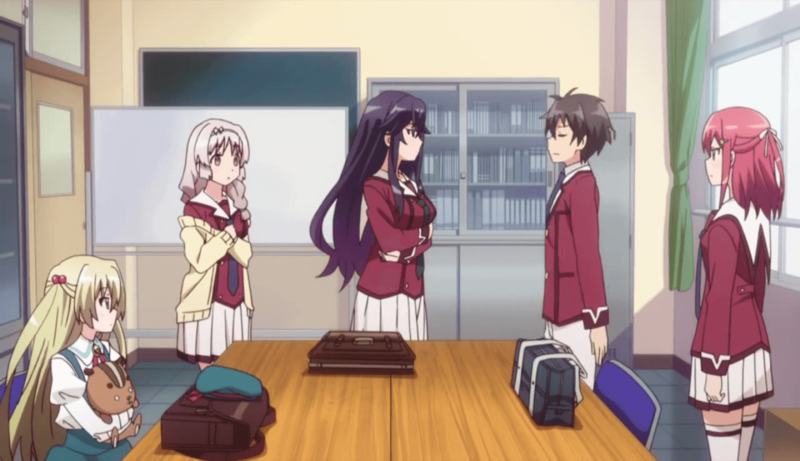 "Student Council President" is a an important title in most high school focused anime. And while the total number of student council presidents would make one think they’re worth a dime a dozen, there’s actually something a bit more interesting about them: they’re overwhelmingly female. 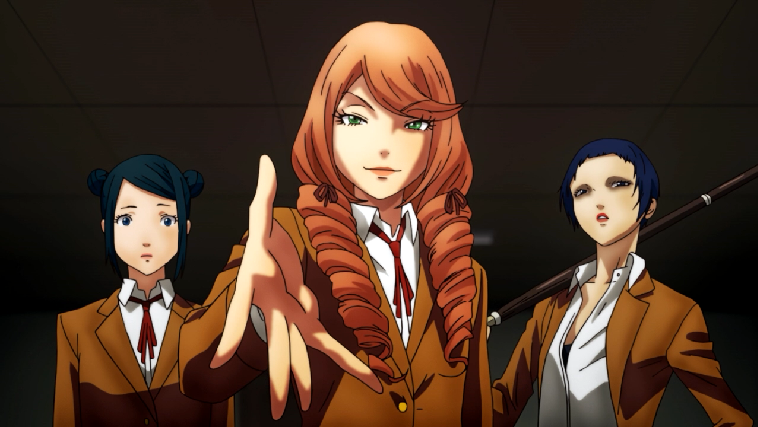 JC Staff: From Adorable Romance to Prison School!? What Happened!? JC Staff is the studio behind a lot of wonderful romance anime, which generations of anime fans grew up with. But now, anime fans are being introduced to a new JC Staff, who likes more perversion and dark comedy in its shows, such as Prison School. Let's explore the JC Staff of then and now. 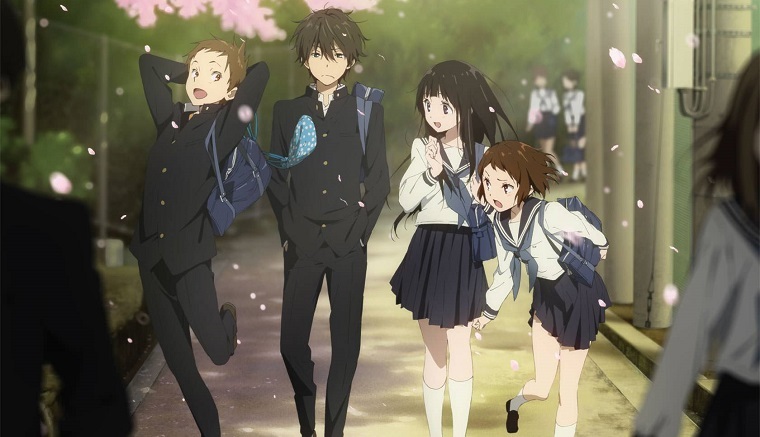 Anime: Hyouka, Sakurasou no Pet na Kanojo, Kill la Kill, Ansatsu Kyoushitsu: Jump Festa 2013 Special, Inou-Battle wa Nichijou-kei no Naka de, Charlotte, High☆Speed! : Free! 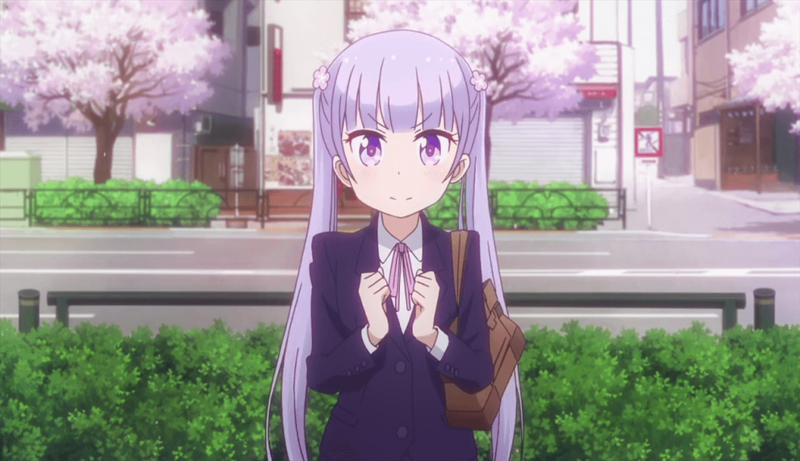 Starting Days, New Game!, Sakamoto Desu ga?